Here’s an illustration of what’s coming. I received a lot of interest on the first model, so I decided to do a new colorway, one off. Only one available. “Black and Red” available Monday at the shop. Inspired by the good ‘o Karate Kid. 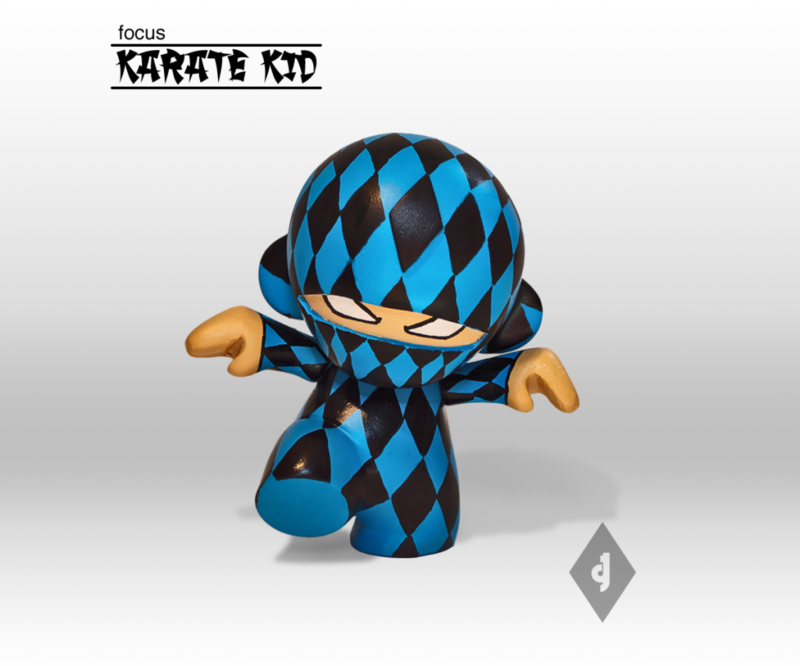 “Focus Blue Diamond Ninja, Focus”. Perfectly balanced on one leg, the little guy is ready to put the finishing move on someone. This is my first mini custom. Three are left available in my shop. Limited to 5. These are hand crafted and painted. Some minor differences are expected. I’m finally making good progress on some work that was put on hold after being down with the flu for an entire week. Never been that sick in my life. After the flue fever I continued to fight a lingering cough and then happen to get a soar throat. Even though I was over it, I had no motivation to work on anything. This is my first week back and it feels good to do some painting and sculpting. The picture above shows what I’m up to and excited to announce that 3 out of 5 of the Focus Diamond Ninja, Focus…will be available soon. I did a limited run of 5 and 2 have been swiped away already! 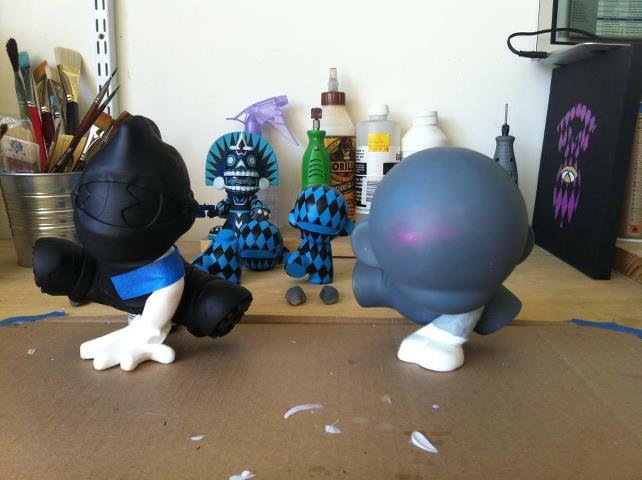 Here’s one of my entries for the MUNNYWORLD contest. Perfectly balanced on one foot, this little guy was inspired by the good ‘o Karate Kid finishing move. How can we not remember that signature part of the movie. Please click here and go vote for me!! What better way to end the week. 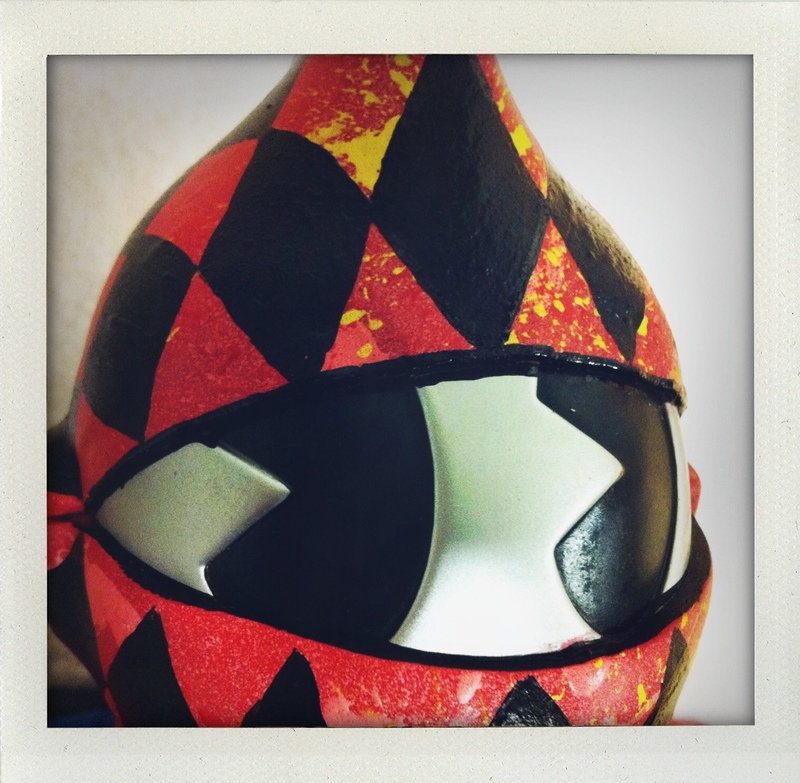 Introducing my first custom Kidrobot mascot. 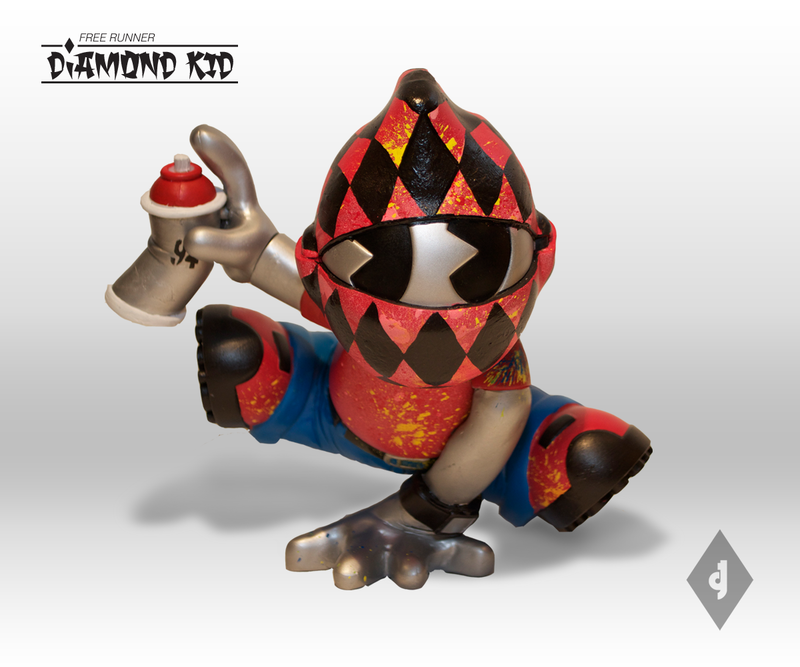 Free Runner Diamond Kid. Caught in action, perfectly balanced on one hand and spraying the town with the other. 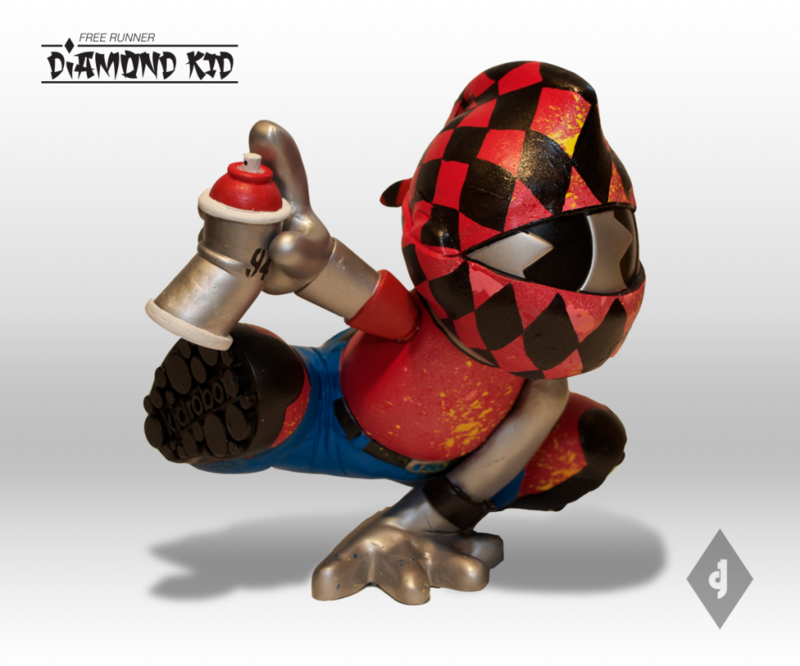 Free Runner Diamond Kid Is available for grabs here. Limited to 5. These are hand crafted and painted. Some minor differences are expected. Here’s a time laps video of a quick sketch of my next release coming this Friday, 4-27-12! Just 2 more days! 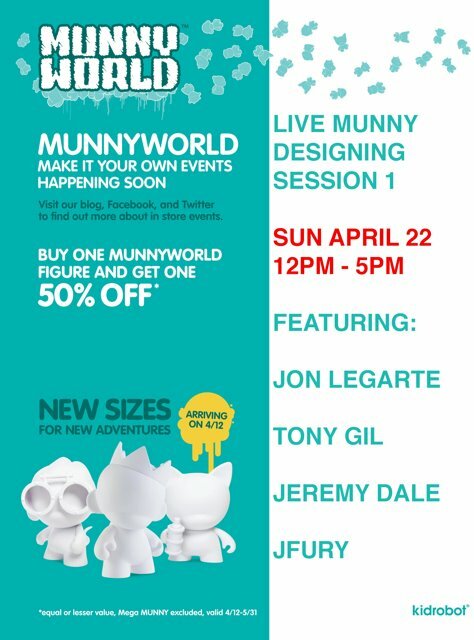 I’ll be at Kidrobot San Francisco this sunday April 22, from 1pm – 3pm. Doing some live painting, demo techniques and chatting with folks. I’ll be showing off one of my upcoming pieces as well. Come say hi. I may shoot a rafel to win a Diamond Ninja War Machine. Because of Huck Gee and Beast Brothers Royal Guard Skullendario Azteca release on April 20th, I’ve desides to delay the release of my latest custom until March 1st. 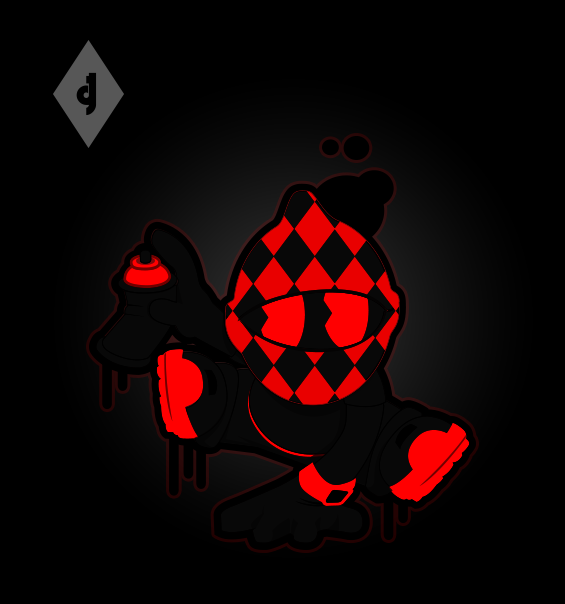 I know all eyes will be on the Royal Guard. 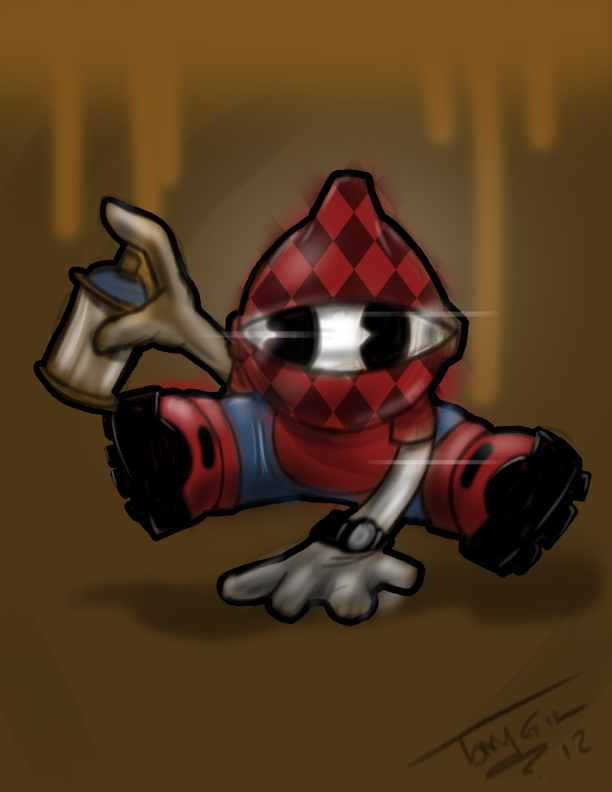 This is my first KR Mascot custom and I have to say I think it’s one of my best. It has been extremely challenging and I want everyone to notice it and hopefully appreciate it. So stay tuned, mark your calendar, follow this blog and connect with me on Facebook. 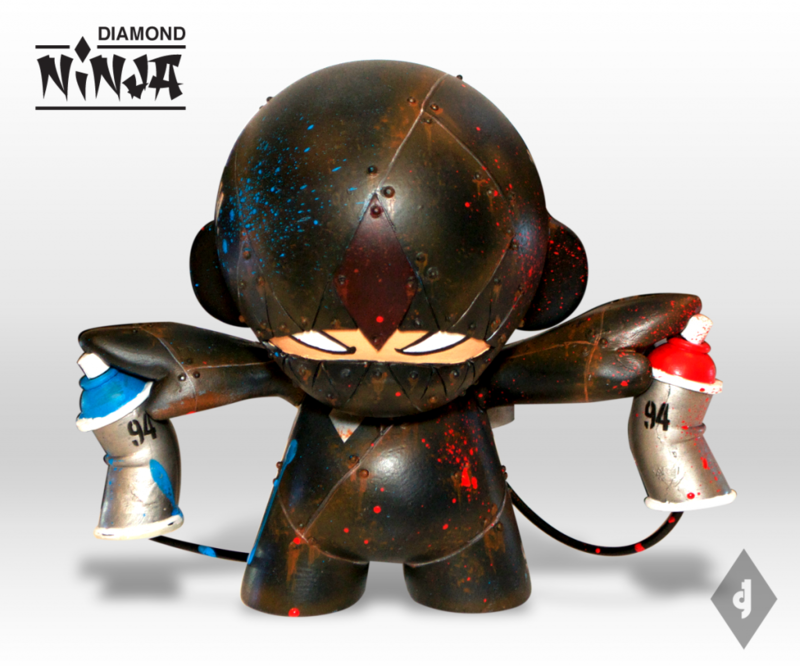 This weekend only, weekend of April 7, the Diamond Ninja War Machine will be on sale for $150 each. Limited to 3. Get it here! Diamond Ninja War Machine is armored and ready for war. Being creative artist of the streets, their armor suits protect them from the enemies who are blinded by beautiful street art. You asked and I delivered. 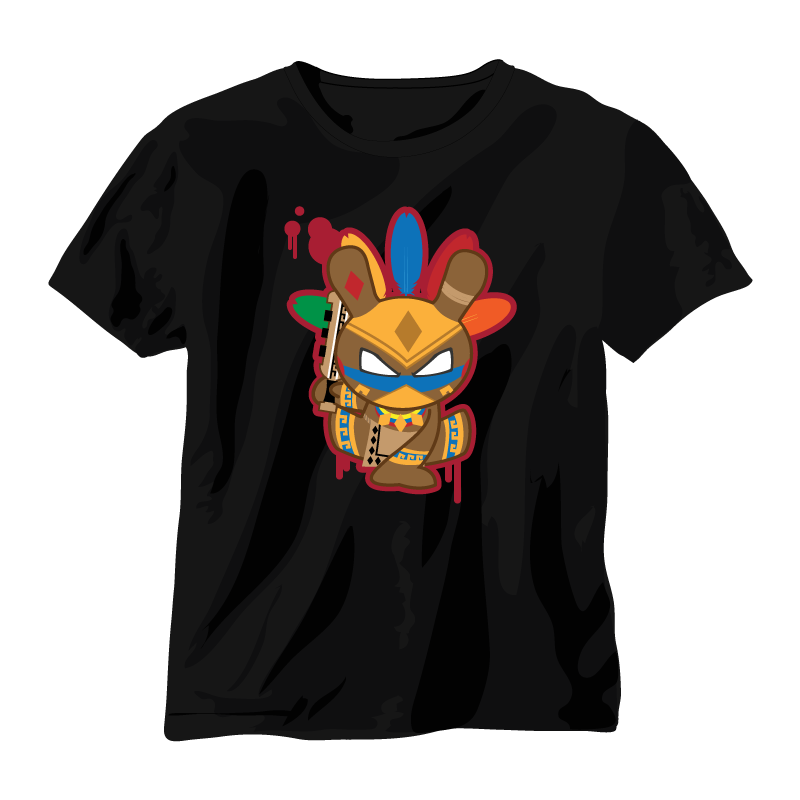 Only 2 more Warrior Quauhtli’s toys left, but there’s plenty of t-shirts and you can get yours here.